There are so many choices when it comes to quilt making. From the quilt top, to the fabrics you’ll use in it, to the internal batting and the backing fabric. 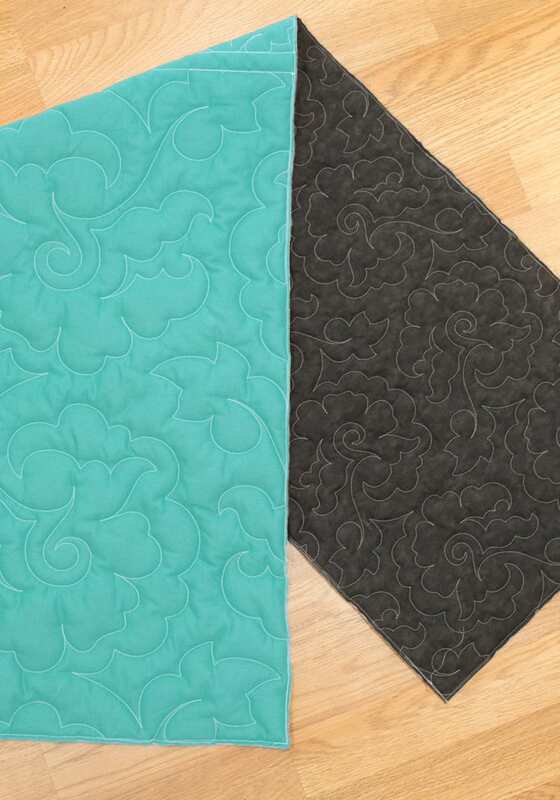 One of the final choices you’ll make is what quilting pattern to use! But did you know there’s one more layer to the quilting pattern choice? It’s called density. 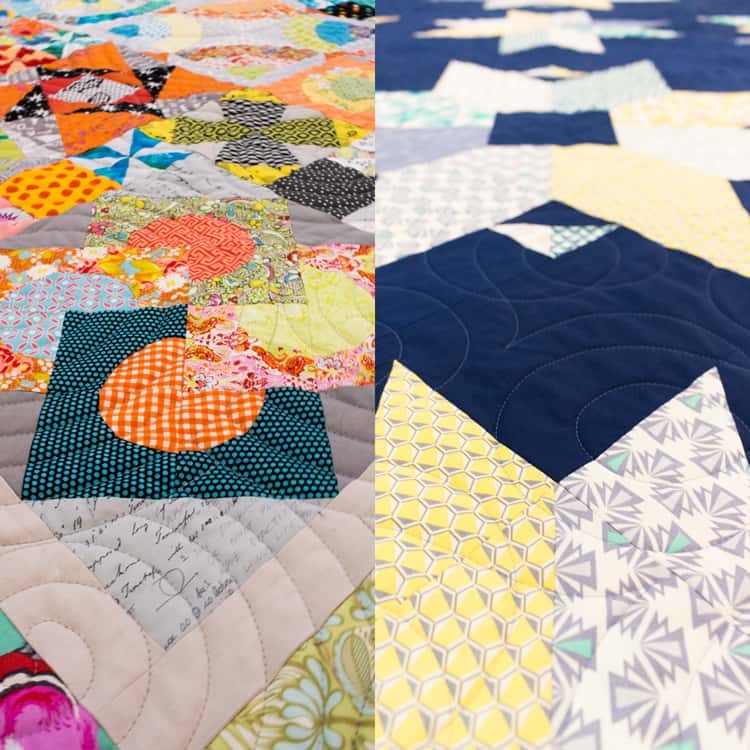 We’ll go in-depth on quilting density today, and arm you with the info you need to make the best choice for your quilt top! Before going further, please note: We have two main density options: Regular and Dense. By default, your quilting will be Regular. This means we make sure the density of the pattern you choose will be the right size to secure your quilt top (if you’re not sure what that means, we’ll talk more about that in a moment! ).This blog post is meant to give those who are curious more information about the why behind choosing one quilting density over another. Let’s start with the basics. 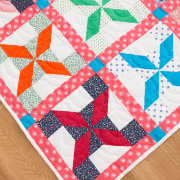 Quilting is a strong, decorative design stitched across your entire quilt, binding together the quilt top, internal batting and backing fabric. It’s technically what makes a quilt top into a quilt! The more important question to answer is why we do quilting. The short answer is that quilting greatly increases the strength and longevity of a quilt. Quilting is the main reason quilts last so long! Quilting also prevents the seams of your quilt top from puckering. Each seam in your pieced top should ideally have at least one line of quilting running through or nearby it to tack it down. The quilting design you choose is not only practical, though! It’s also decorative, like the cherry on top of your quilt. Once you’ve chosen the perfect quilting pattern to complement your quilt top, you might want to choose how dense you want that design to be. 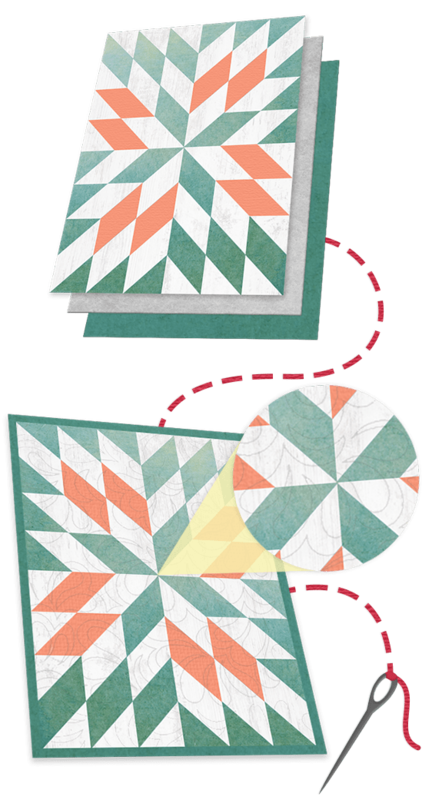 What is quilting pattern density? It can be thought of in a few ways, but the simplest way to look at it is as the average amount of empty space between the lines of a design. Less empty space equals a denser design. A general rule of thumb: we consider a pattern to be “dense” when there are 1 to 2 inches of space on average between the lines. All of our Regular density patterns can be shrunk to create a Dense version. Using the quarters as a size reference, you can see that the design in the top photo is much looser (more open) than it is in the bottom photo. In each photo, the same quilting pattern (American Beauty) is shown. The only difference is density. Comparing patterns, it’s easy to tell that some are just naturally more intricate, which makes them naturally more dense. In the example above, Abundant Feathers is such an ornate pattern that we only offer it in Dense. At the other end of the spectrum in this example is Soho, which has good motion and very balanced white space. A more open pattern can almost always be made denser, but the opposite is not true of some naturally intricate patterns. However, we’ve carefully chosen our collection of patterns so that most of them can easily be adjusted up or down in size. Those that can’t will be marked with “(DENSE ONLY)” on our website. Why can some patterns only be dense? Our quilting machines have a set area that they can reach at once while they are sewing, and the pattern needs to fit in that space. If one row of a pattern is so large and/or intricate that it cannot be stretched out enough to get to Regular density without getting too big for this height, the pattern must be quilted densely. Any pattern that fits in this category will be marked with “(DENSE ONLY)” on our website. Which is better: more or less dense? One is not better than the other. 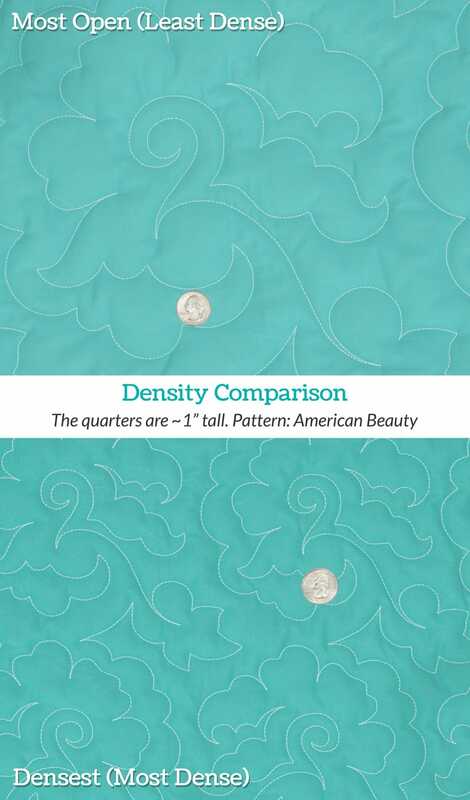 Beyond the minimum density needed to secure your seams, quilt density is down to your taste and how you plan to use your quilt! When you order, you have two density options: Regular and Dense. How do you know which to choose? Your quilt is for wall display, so drape is not as important. Denser quilting makes for a stiffer quilt. And that’s all there is to it! You’re officially a quilting density expert. 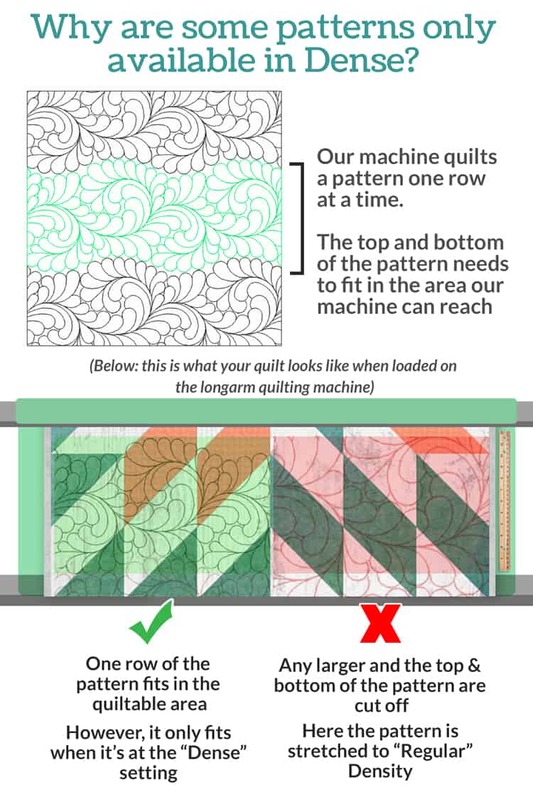 If you have any questions about density, or anything else related to longarm quilting, we’re here to answer them! How many shirts do I need to make a t-shirt quilt?